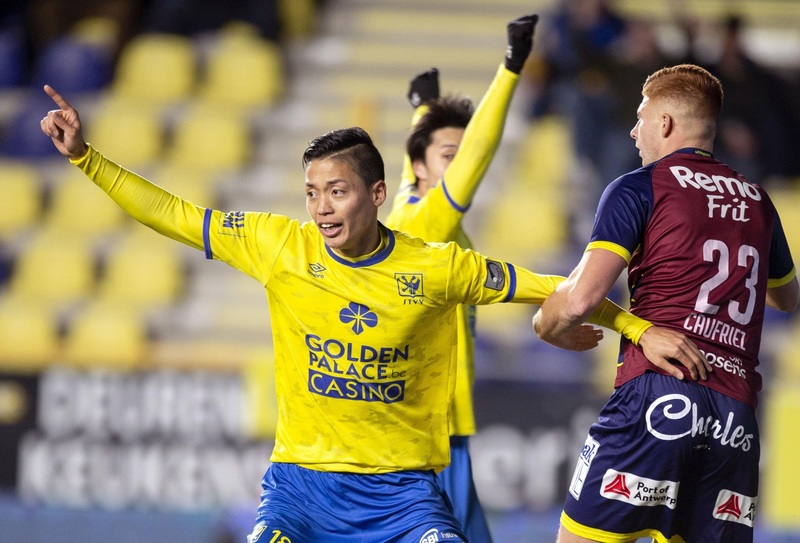 SINT-TRUIDEN, BELGIUM - Kosuke Kinoshita celebrated his debut with Sint-Truiden by scoring the late winner, four minutes after entering as a substitute in Saturday’s 2-1 Belgian top-flight victory over Waasland-Beveren. 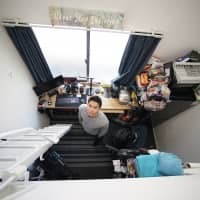 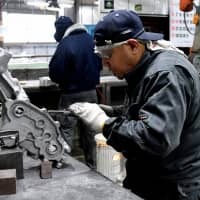 The 24-year-old Kinoshita, who has been playing in Europe since he was 18, moved last month from Swedish outfit Halmstad to swell Sint Truiden’s growing number of Japanese players. 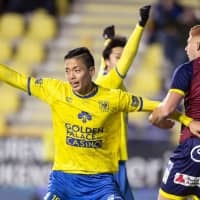 Compatriots Takehiro Tomiyasu and Daichi Kamada both played the whole game for the hosts, who are now fifth in the Belgium’s First Division A.